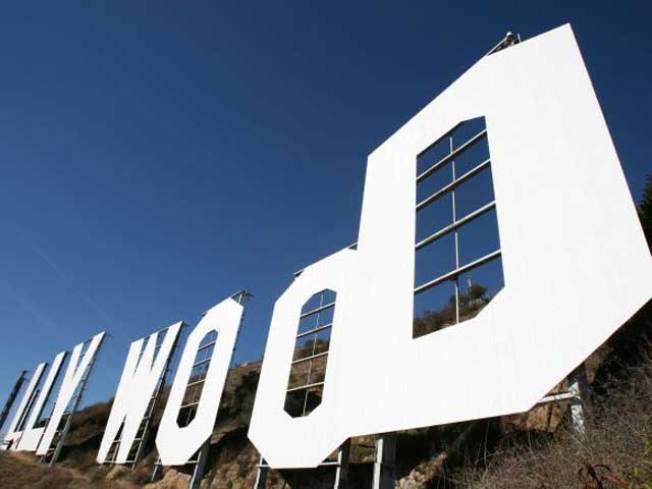 The film and television industry's most famous landmark, the Hollywood Sign, and the land surrounding the iconic beacon, will continue to overlook its stars thanks to a generous savior. The Tiffany & Co. Foundation announced on Wednesday that it has awarded a $1,000,000 grant to The Trust for Public Land (TPL) and its Campaign to Save Cahuenga Peak, Home of the Hollywood Sign. The award expands the Foundation's urban parks program that originated with support for New York City's parks through the Battery Conservancy and Friends of the High Line and now includes parks in other major cities, including Houston, Chicago and Miami. The grant will go toward TPL's purchase and conservation of the 138-acre Cahuenga Peak site. The property's owners, a group of investors who purchased the land from the estate of industrialist Howard Hughes in 2002, have accepted a selling price of $12.5 million. TPL plans to transfer the Cahuenga Peak site to the adjoining 4,200-acre Griffith Park, the nation's fourth most visited park, thus permanently protecting the view of the Hollywood Sign and a remarkably intact ecosystem of native chaparral plants and animals. "The Hollywood Sign is an American icon that holds a unique place in the nation's collective imagination and the cultural history of Los Angeles," Michael J. Kowalski, chairman and CEO of Tiffany & Co, said in a statement released to Access Hollywood. "It is a sign that cannot be separated from its untrammeled setting of hiking trails and wildlife corridors. Preserving both means that future generations may gaze on this parkland and know the California frontier before freeways and urbanization and the heritage of magic and inspiration that is Hollywood. As an American institution, Tiffany has enjoyed its share of memorable movie moments and through our foundation, is committed to protecting our natural resources and pleased to assist The Trust for Public Land in protecting this historically significant site." The organizations that have joined TPL's Campaign to Save Cahuenga Peak include the Hollywood Sign Trust, the City of Los Angeles, Santa Monica Mountains Conservancy, Mountains Recreation and Conservation Authority, the Los Angeles Department of Recreation and Parks, the Los Angeles Parks Foundation and the Hollywood Chamber of Commerce. PLAY IT NOW: Access Exclusive PREVIEW: Jennifer Aniston's Birthday Celebration!